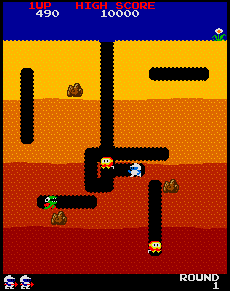 I love Dig Dug, and so do many other people who know a good game when they see one. One of the monster hits of the early '80s and quite rightly so. There are few things as satisfying as pumping up a monster until it pops its guts!